The needs of our clients are as varied as the clients themselves. 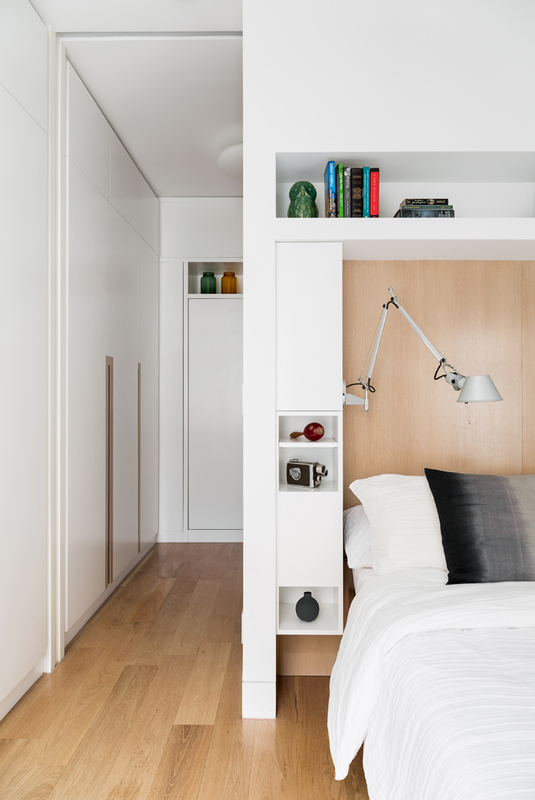 In all New York City renovations, the need to maximize space use is universal. We carve, create and make transformable as much space as possible increasing the value of every square inch. Here we feature sleeping spaces from a few projects. The bedroom below opens up to the dressing area beyond easily accessed from either side of the bed. When family visits, the ceiling height pocket doors hidden in the volume behind the bed, close to make each space private. With the doors closed, everything they need for the evening is within arms reach in built-in storage carved into the separating wall. 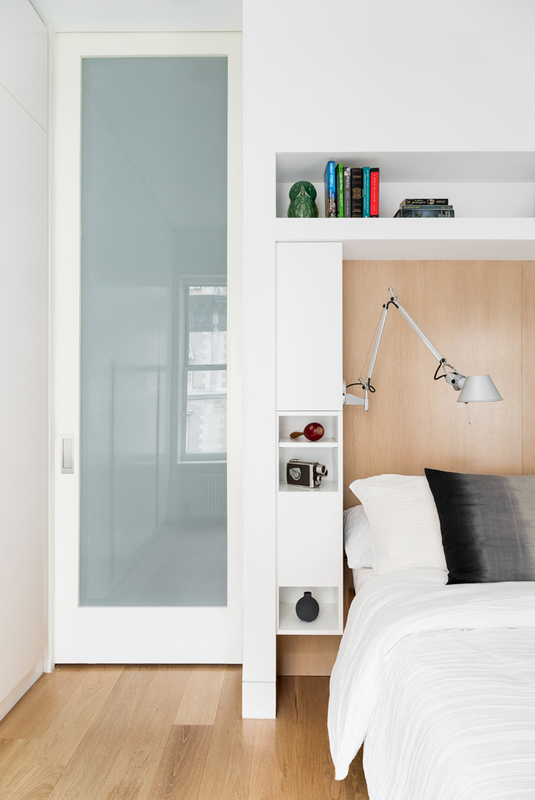 The dressing area below converts to a guest room when the Murphy bed is lowered. 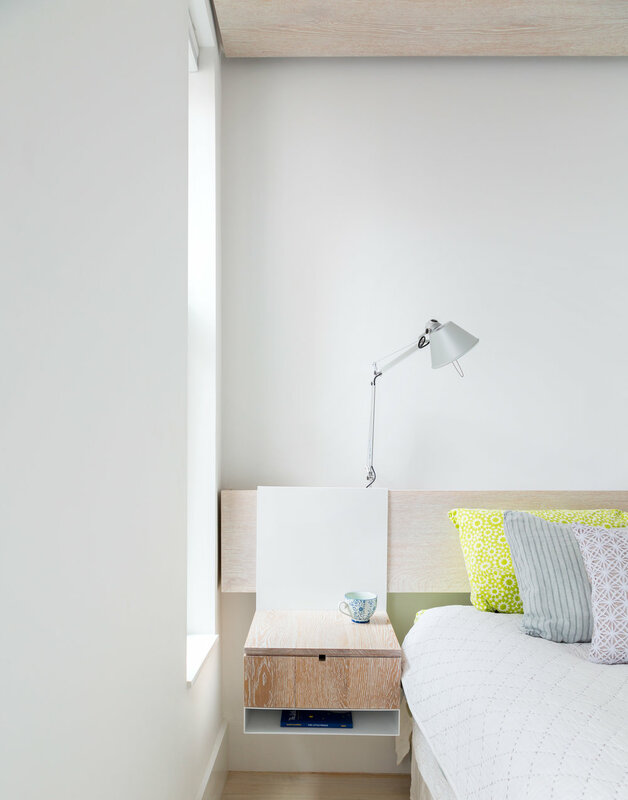 A hanging side table is part of the custom, built-in headboard in the bedroom below. 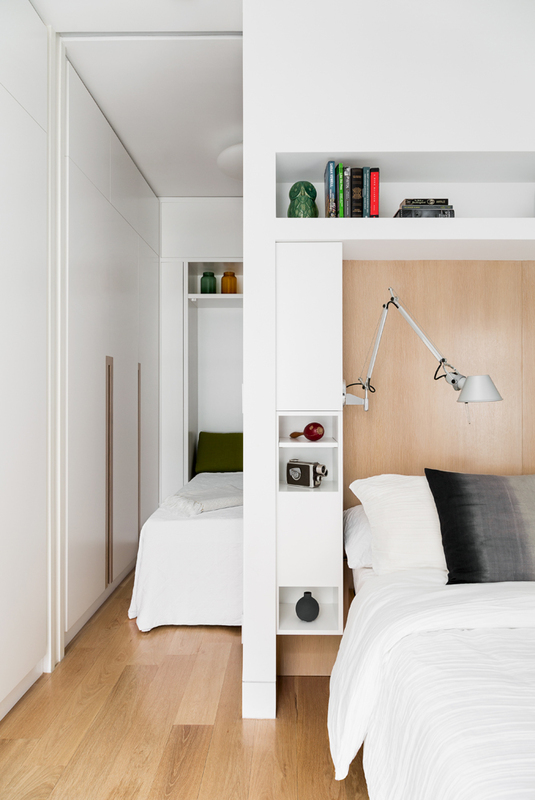 By floating the storage units, the small space seems larger. The office below converts to a guest room. With the Murphy bed the same width as the room, a niche carved into the back wall takes on the function of a side table giving guests a place to set a glass. 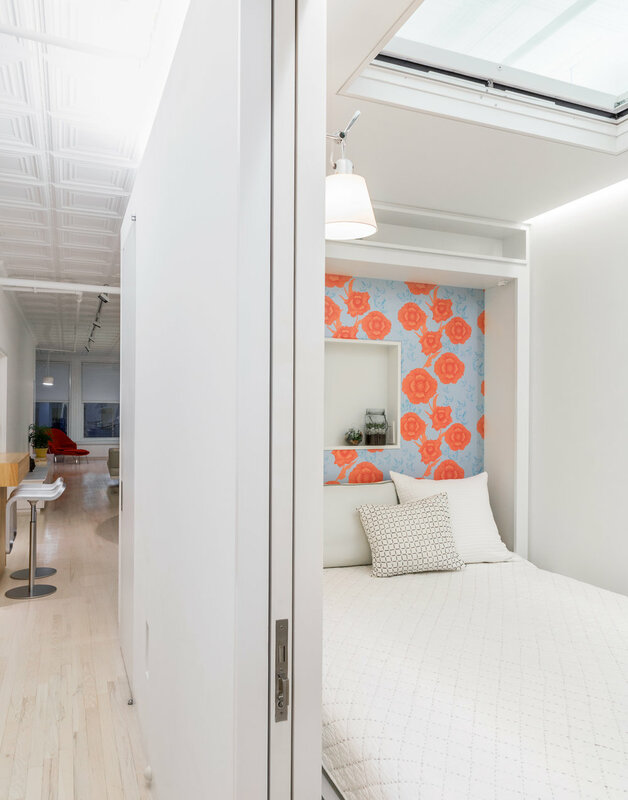 A retractable skylight opening up to the loft ceiling above, allows light and air into the guest space while the doors are closed. During the day, when the bed is up, a sofa and coffee table untuck for a lounge/ office space without having to move any furniture. Frame Design Lab is a design firm located in New York City.